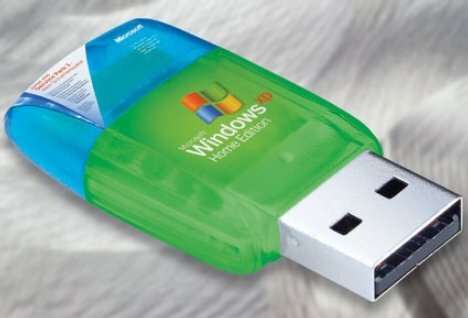 Ever heard of bootable flash drives? They provide a real good alternative for starting up error-laden computers. You can make one yourself by following one of the many internet instructions, assuming you have some technical knowledge and enough time on your hands. Or you can go with the easier option and buy flash drives already equipped with the proper boot files. In most cases these files are protected so you can’t accidentally erase them or have them compromised. Unlike what might have happened on your computer. To make them work, all you have to do is set the BIOS to the drive letter of your memory stick and booting up your system should work like a charm. You can find USB boot sticks for a variety of operating systems such as Fedora or Linux based systems like Puppy and Ubuntu. Some even come with the complete desktop program which means you can run your whole computer on them. If you’re wondering about the big guy now here’s the deal: Microsoft StartKey. It’s not just a bootable Windows flash drive but also an entire profile and settings saver. Basically you can transport your Windows without taxing your arms. Only your pockets may suffer some strain. The catch: It’s not out yet. It actually should have been late last year but when the release is now nobody seems to know. So, until then one has to resort to the various guidelines on the net to configure memory sticks with an MS boot sector. Or to just switching operating systems. any flash drive should do. You probably need to make it bootable for your specific computer yourself. Check with the guides on the net.